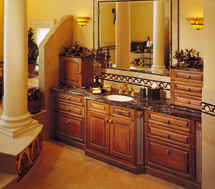 Master Bathrooms take on many feelings. With so many styles available, its easy to find the perfect retreat. Many find that a combination of features and styles suit them. 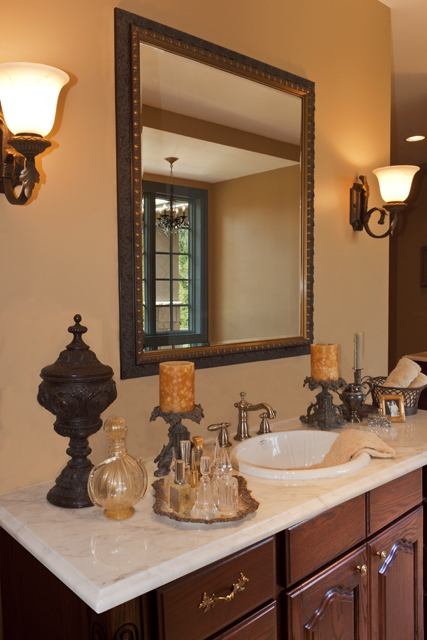 As you may see in a few of these bathrooms we design all types of styles, from Italian to French. The underlying theme is romantic or retreat/ spa style. There's plenty of room for countertops and built in storage throughout. Many times the design process takes a personal approach. Start with a feeling or style you are searching for, then determine the needs and uses required for the space. 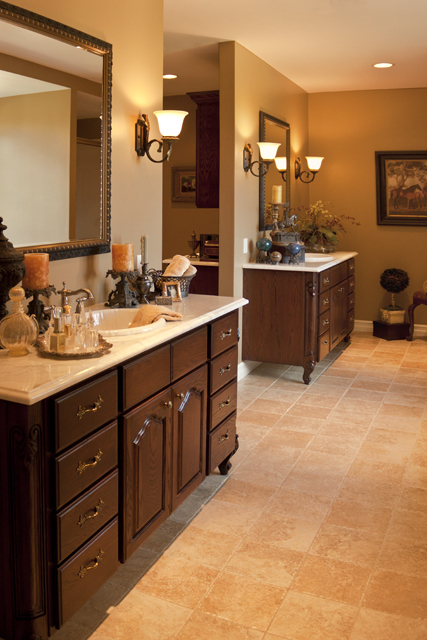 Pull pictures out of magazines and start a file just on master baths. 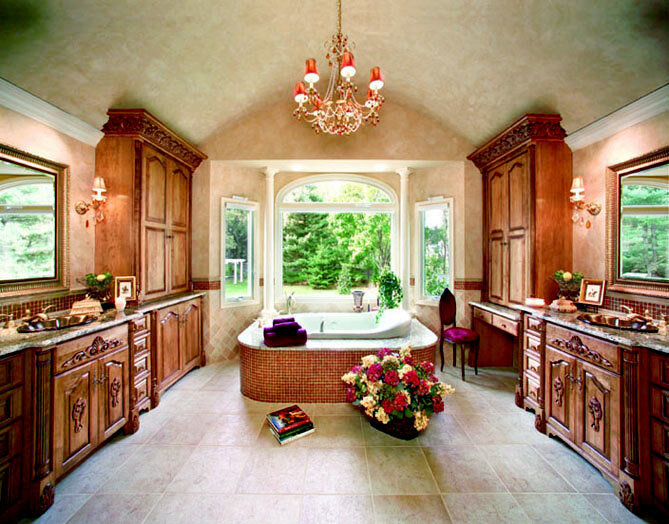 Call it your "dream bath." Soon you will notice a consistent theme or element start to evolve. Copyright 2014 Signature Kitchen & Design, Inc.. All rights reserved.